We are launching a project to examine the most feasible sea routes in the North Atlantic, supporting our ongoing research of passenger needs and requirements. We are currently working on a business plan to operate a sub25 meter yacht by the beginning of the season 2018 as a transatlantic sailing ferry. The primary goal of this first business plan is to complete two or more years of successful operation in order to prove the market for our concept. Our ultimate vision is to create large scale passenger sailing ships carrying over 200 passengers, using the latest sustainable design technology. Today’s super yachts cross the Atlantic in less than a week under sail. 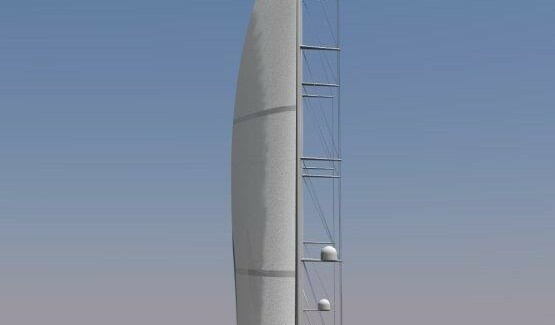 We are considering designs of very large trimarans, the scale of which has never been seen before: which can travel at high speeds in all but the very worst of conditions and keep up to 200 passengers safe in the process. We are aiming to work with a variety of international stakeholders who share our passion for sustainable travel and for connecting people across oceans. We are looking to key into conventional and more alternative transport networks, improving their green credentials and facilitating their Corporate Social Responsibility. For the obvious reason of developing a ‘return’ customer base we are looking for a partner in the New York area of USA, Washington and Brazil/Venezuela. We are also seeking partnerships in Copenhagen, Denmark and Hamburg in Germany to develop a customer base. Ideally these would be established ‘Green Travel’ providers of some description. To develop a true Sail Transport Network we also intend to work more closely with Sail Cargo Ships – in order to be able to integrate our services to reach a wider customer base. There are a number of collectives seeking markets and investors for the much advertised ‘Eco-liner’, a wind and bio fuel powered ship. There is the opportunity here for a ‘deck cargo’ of passengers with the right foresight. We aim to co-operate with such organisations to expand our sail network more rapidly.